A rendering shows what the Chicago Children's Theatre will look like when it opens in January. WEST LOOP — The Chicago Children's Theatre will officially opens its new home in the old shuttered 12th District Police Station this week. West Loop leaders and arts advocates will celebrate the opening of the $8.5 million new Chicago Children's Theatre at a ribbon cutting ceremony at 10:30 a.m. Tuesday at "The Station," 100 S. Racine Ave. The public is invited to a free open house at the new performing arts and education hub from 3-5 p.m. Sunday. During the first phase of build out, crews have added five classrooms, a dedicated, year-round space for Red Kite interactive theater for students with autism, a lobby with box office and concessions, the flexible, 149-seat Pritzker Family Studio Theatre and support space in the building. The Pritzker theater was built in an old cell block and the "Red Kite" theater was built in the judge's former chambers in the old police station. The Chicago Children's Theatre will launch classes and camps for kids up to 14 on Feb. 6. A second phase of construction will see a state-of-the-art, 299-seat mainstage theater developed on site. The second phase is expected to be completed in 2021. In the interim, the children's theater will continue to present its productions at the Ruth Page Center for the Arts at 1016 N. Dearborn St. in the Gold Coast. Frank Maugeri, community programs artistic director at Chicago Children's Theatre, said the former police station will now be a place that amplifies hope. "Our intention for this space is that its educational programming be as diverse as our city and as unique as its children," Maugeri said. "I believe that The Station will be a place of wonder, innovation, and empowerment — a home for all young people, through theater and the arts, to become authors of the future. Jacqueline Russell, theater co-founder and artistic director, said the new West Loop headquarters would give the children's theater a real home for the first time. The theater works with more than 100 Chicago schools, and has a special commitment to serving children on the autism spectrum, she said. "The Station gives us new freedom to work with exciting, internationally recognized companies like Manual Cinema, who are producing inventive, intimate new works like Magic City which will resonate with audiences of any age," she said. The redevelopment project was designed by Wheeler Kearns Architects and Working Group One Architects with heater planning is by Schuler Shook. Pepper Construction is the general contractor. 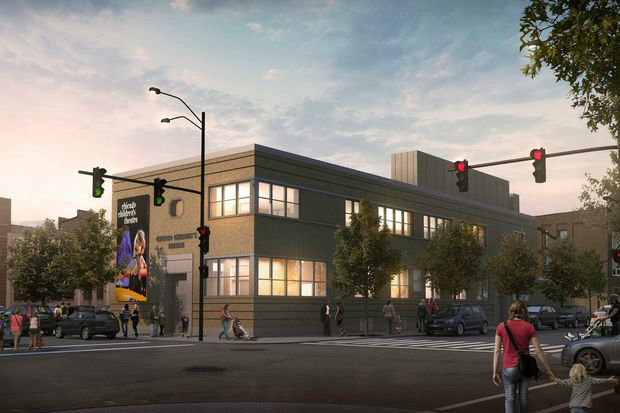 The Chicago Children's Theatre first announced plans to move into the former Near West District police station in August 2014. Chicago Children's Theatre's first production in its new home The Station will debut Jan. 27. 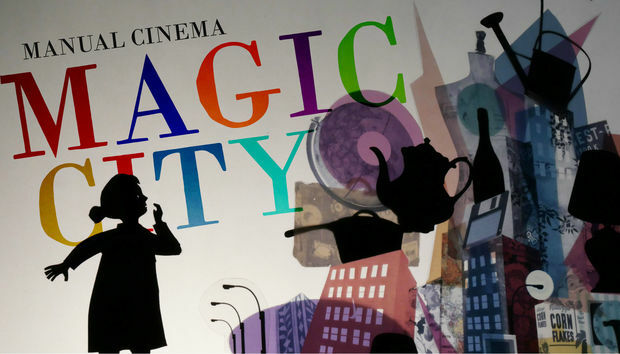 Magic City, created by Chicago's internationally acclaimed shadow puppet theater Manual Cinema, will open The Station's new 149-seat Pritzker Family Studio Theatre. The all-ages, family-friendly show, loosely adapted from Edith Nesbit's 1910 novel The Magic City, uses overhead projectors, paper shadow puppets, live actors in silhouette, miniature toy theater and live musical accompaniment to bring Nesbit's novel to life. Performances are Jan. 27-Feb. 19 and tickets, priced at $25, can be purchased online or by calling 872-222-9555.